If you're looking for an exciting career in space, then the Novan Interplanetary Alliance Space Navy may be right for you. Serving in the Space Navy provides not only the opportunity to protect our worlds, but also offers competitive salaries and benefits for you and your family members. an exciting career in space. In the early days, enrolling in the Space Navy generally meant humanitarian aid and terraforming operations. These roles and others have since been subsumed by Regional World Operations. 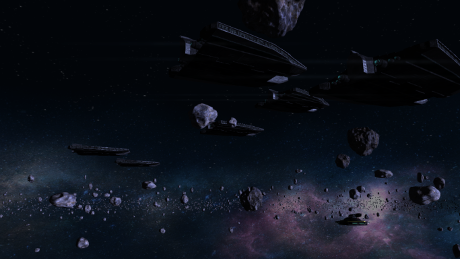 Today, the Space Navy's role mainly consists of sector patrol, gate security, and combat operations. We help our recruits to find the right jobs for them based on their abilities. Do I Need to Relocate? The Navy reaches into deep space and is present on nearly 30 worlds and over 60 DSCs. Because of this, relocation should be expected. However, your loved ones are only a gate jump or two away. The Navy provides regular opportunities for officers and pilots to visit their families via the far-reaching NIA network. Indeed, it is well known that regular visits help to keep our crews in high spirits. We also have an extensive media-transit network for traditional A/V communication when gate transportation is unavailable. The Navy also provides relocation support to families moving from the Outer Systems. Speak to a local recruiter to see if you qualify for this kind of support. Recruitment offices are located in every major Gate Hub. While many of the GHDs are locally addressable from a standard network line, your best bet is to visit isg:lookup-db:net first and search for a recruitment office nearest your planet.